There are a million ways to be a girl, and perhaps no one knows this better than new parents. Because don’t we all want our girls to feel like they can be whatever they want to be when they grow up? If you’re a mom who grew up hoping to be an engineer or the first female U.S. president, good for you. But hey, if you grew up obsessed with pink and princesses, that’s OK too! You — and your daughter-to-be — can be a badass strong lady and still love a good fairy tale dress and Prince Charming story. And besides, these days, princesses are known more for their advocacy work than their fluffy dresses. 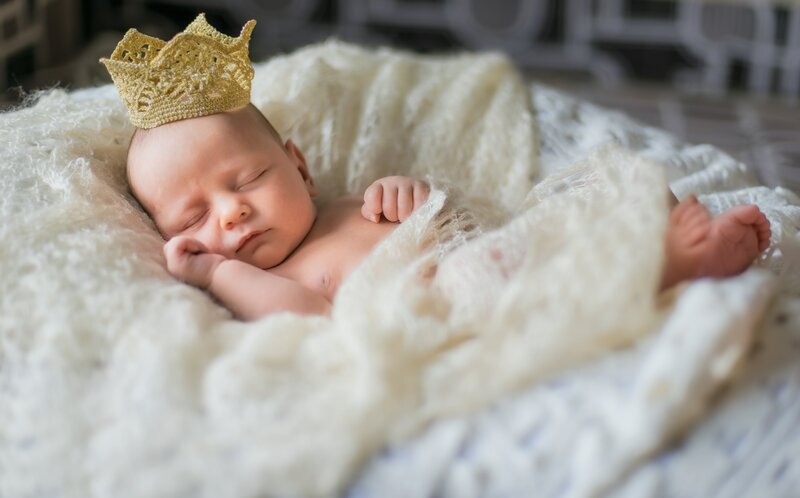 There’s no shame in giving your new baby a powerful princess-inspired named. As you browse these beautiful baby girl names, take a closer look at the princesses who inspire you. For a special connection, see if any of these princesses are from an area you can trace your ancestors back to. Because when your daughter finds out you named her after a real princess, she’ll want to know more about her namesake. We sifted through history to bring you the best princess baby names from a variety of monarchies. While some of these names may seem old-fashioned, keep in mind that classic names are back in style this year. And you can always pair a longer traditional name with a middle name that’s crisp and modern — or just short. Try Henrietta Zane or Esperanza Lee, for example. The princess baby names above can often be shortened to cute nicknames as well — Maggie for Marguerite, Lucy for Lucienne, etc. But hey, if you want to go truly regal, pair two royal baby names. After all, multi-names are common in monarchies — just ask George Alexander Louis, aka Prince George of Cambridge.